for our animals, whether they be horses or cattle. When our family moved to Tennessee our acreage allowed us to contemplate what to do on it. 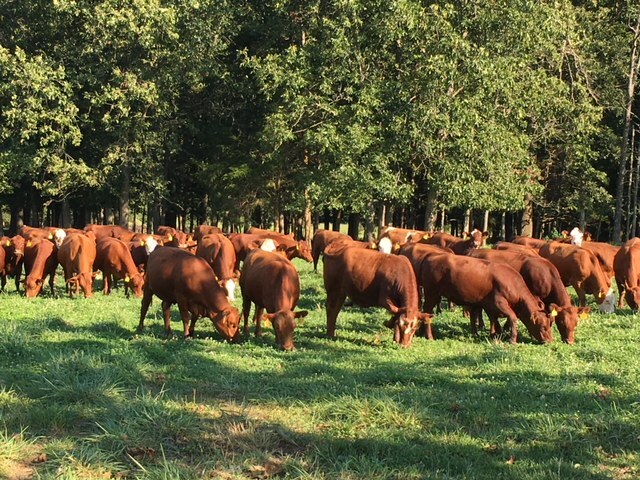 Although primarily a horse farm, the extra acreage allowed us to expand and we started researching for a smaller efficient breed of cattle that could handle the seasonality of Tennessee. They had to be good foragers, gentle to be around and good producers. We started looking for a smaller framed breed that could be seen as “normal size” but not so big as to eat so much that it takes a county to feed them. I liked and had experience with Red Angus and Hereford breeds as I knew from our experience with red cattle, they could handle heat better than the black ones. Our research led to South Polls and Teddy Gentry. He had been experimenting with different breeds to come up with a crossbred animal that was adaptable to the heat of the south, good mothering, gentle, good foragers and good producers. I believed that these smaller to medium sized cattle could finish on grass better than bigger ones. So our research led to the “1000” pound size. The size we believe best to maintain and finish on grass. South Polls thrive on GRASS, even the heavy fescue that is abundant here in middle Tennessee. 10 years ago we had the opportunity to buy a select herd of Foundation Cows and breeding bulls for the South Poll breed. Currently most of our South Poll cows and bulls are in middle Missouri due to severe 2 year drought here in Tennessee. We are fortunate to partner with Dr. Bruce Shanks and his wife Sunshine of Sassafrass Ranch to manage our Cow/calf operations in Missouri. Every year we have a crop of bred heifers that we sell end of October. 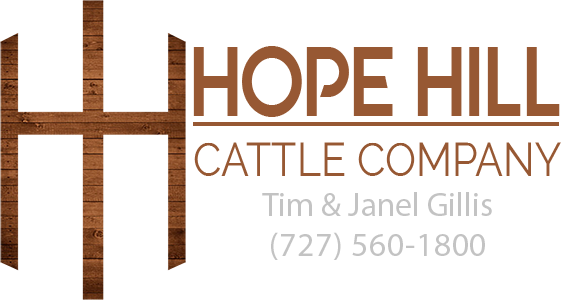 We currently manage Hope Hill horse farm and Hope Hill South Polls here in Middle Tennessee and for now, our cattle operation is locally breeding South Poll heifers and finishing South Poll steers for the grass fed/finished beef market in the tri-state area surrounding Tennessee. We avoid antibiotics because we want a naturally healthy cow. However, our animal’s health is never compromised. If we inject an animal with antibiotics, it becomes a commercial animal and is taken to the sale barn. Free choice Organic Minerals with sea kelp. as you build your herd or buy our beef.